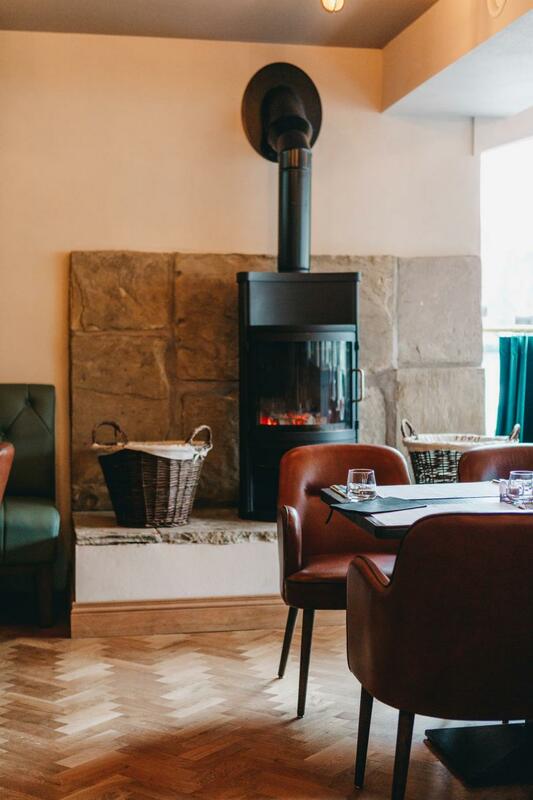 This charming 18th century pub is a sister establishment to that great dining pub, Balloo House in Killinchy, and menus are deliciously sprinkled with descriptions that give meaning to the dishes. Seats 70 (private room, 40). Food served daily noon-9pm (to 9.30pm at weekends); a la carte. Children welcome (high chair, children's menu, baby changing facilities). Only ground floor wheelchair accessible (not WCs). House wine £13.95/14.95. SC 10% on groups 8+; reservations recommended. Closed 25 Dec. MasterCard, Visa, Switch. Formerly named after its original owner, The Marquis of Downshire, Ronan and Jennie Sweeney's charming 18th century pub is a sister establishment to that great dining pub, Balloo House in Killinchy (GCGuides 2009 Pub of the Year) and its stylish younger sibling, The Poacher's Pocket in Lisbane. Offering oodles of character as well as good food and drink, it went down a storm from the day of opening in 2009. 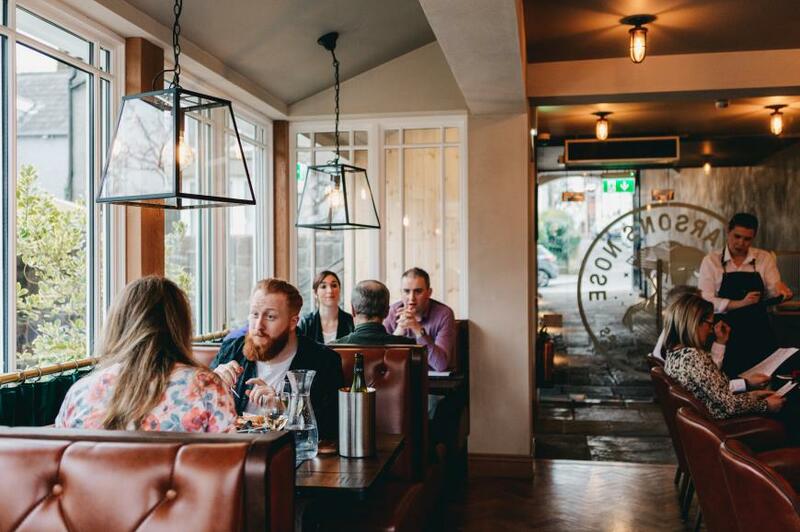 Then, early in 2017 - working with their usual sure-footed balance of atmospheric tradition and contemporary style - the Sweeneys undertook a massive revamp that has retained the characte while creating much more spacious and comfortable dining areas, both indoors and out. 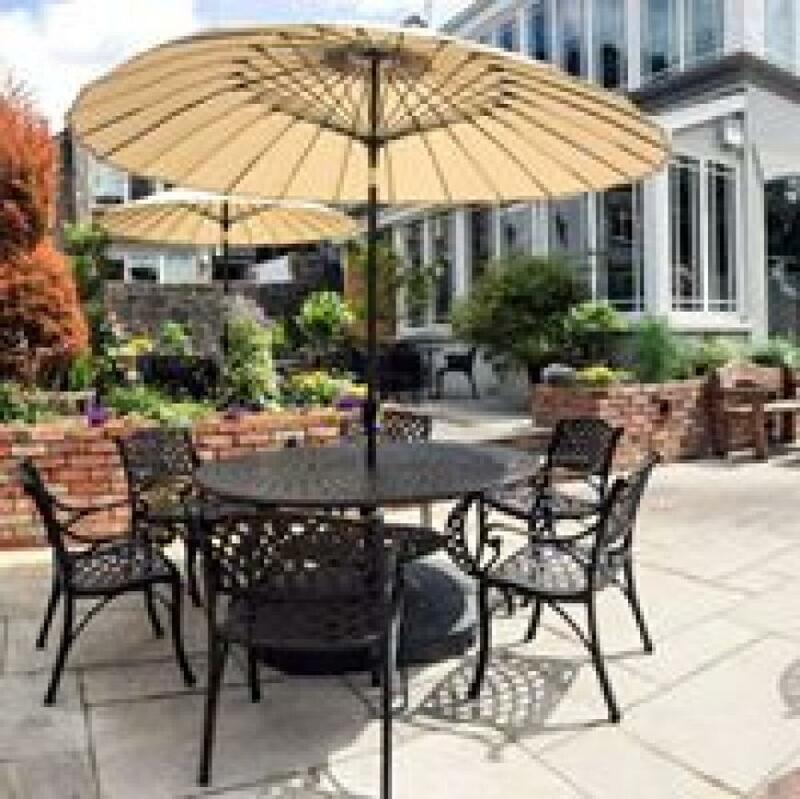 As anyone familiar with Hillsborough will know, the setting is idyllic and this, together with the Balloo connection – which includes the formidable reputation of chef Danny ‘Great British Menu’ Millar – makes for a promising outing. 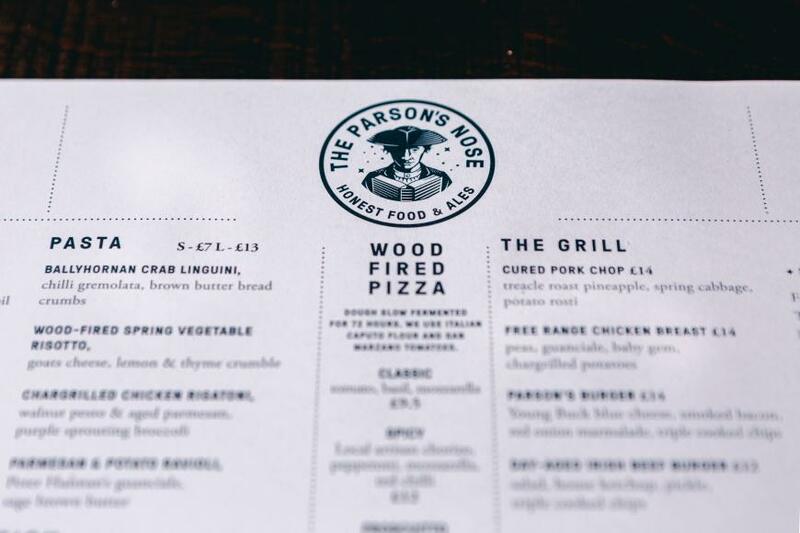 The outside is in pleasingly plain 18th century style, with the front door leading straight into a welcoming bar with a real coal fire burning in the grate – and a good choice of draught and local beers on offer. The big marble fireplace is the focal point of a lovely seating area just inside the door and, beyond, the higgledy-piggledy nature of the building has been smoothed out a little but it still has plenty of character. The chances are you’ll be won over before you even set foot on the stairs leading up to the top restaurant - a nest of rooms with another open fire, this time cleverly straddling two of the dining rooms,one of which has view of the kitchen - or down to the much bigger dining area on the garden level. The feeling is old world with a modern twist – and pleasant staff are quick to present menus and take drinks orders. A seasonal menu offers plenty of choice for varying times and occasions, and is deliciously sprinkled with descriptions that give meaning to the dishes. 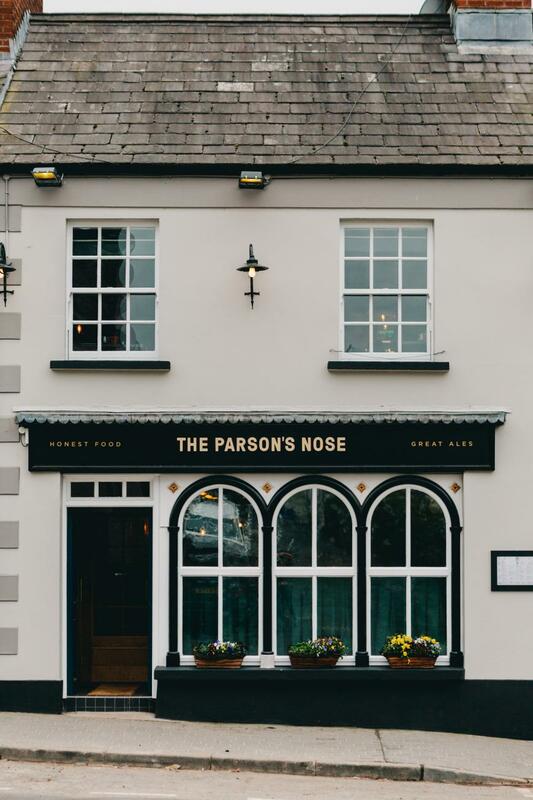 ‘Honest Food & Ales’ has always been the mantra atThe Parson's Nose, and it shows: prawns (langoustines), crab, scallops and mussels come from nearby Strangford Lough, haddock come in to Portavogie and oysters are from down the coast at Dundrum Bay, while salmon is from the famous organic salmon farm off the Antrim coast at Glenarm. Very good soups may include a deliciously pale and creamy smoked haddock chowder with bacon & scallion, for example (served with moreish breads, including a gorgeous Guinness wheaten bread), and more fresh seafood will probably feature among the daily specials. Local meats and poultry are another highlight - rare traditional breed Dexter beef and Lissara Farm free range duck (both former winners at London’s Great Taste Awards) feature strongly, and fans of chef Danny Millar's performance on the ‘Great British Menu’ might be interested to try a signature dish of beef shin, oyster & stout pie. On the other hand, especially if you’ve noticed the farm signed at Downpatrick en route, it may hard to resist a dish of meltingly tender haunch of Finnebrogue venison, slow cooked in red wine and served with a celeriac mash and wild mushrooms. And side dishes, so often the Cinderella of a meal out, match the menu well and include less usual seasonal dishes such as braised red cabbage with apple, or buttermilk onion rings, offered alongside winners like Parson’s triple cooked chips, and champ – which, here, has relevance as well as popularity. But don’t be too greedy, as it’s worth saving space for delicious desserts like buttermilk pannacotta with rhubarb comp&ocirc;te and vanilla shortbread, or Madagascar vanilla bean rice pudding with berry comp&ocirc;te – followed by good coffee. Prices are fair for the high standard offered and friendly service from well-informed staff adds to the enjoyment of a meal, but allow plenty of time as the pace could be leisurely. With another excellent dining pub, (The Plough, also a previous GCGuides Pub of the Year) only up the road, visitors to this pretty village are indeed blessed – and competition is always good for business.